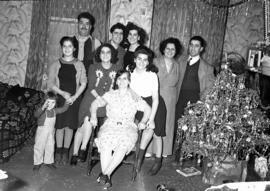 The Abbass family emigrated from Lebanon to Cape Breton at the turn of the 20th century. With his wife, Lilly Khattar, Jobe Abbass built a home on Townsend Street in Sydney, N.S. and together raised twelve children. It is in this building that three of those children, George, John and Anthony started Abbass Studios in the summer of 1946. While still in high school at Sydney Academy, George took a job as an apprentice at Meyer’s Photography, a national chain. In 1941, after graduating from high school, his brother John also secured a job with Meyers where they both learned the craft of photography. Eventually they began private work contracting jobs with the Post Record and Chronicle Herald newspapers. In January of 1943 four of the Abbass boys, George, John, Joe and Ferris, enlisted to serve during World War II. They left their younger brother Anthony (Tony), who was too young to enlist, in charge of their Post and Herald contracts. When the brothers returned from war, they received a stipend from the government to open their own business. 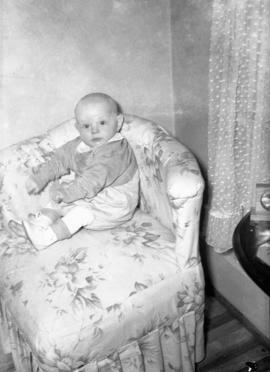 Abbass Studios opened its doors July 18, 1946 in the family home on Townsend Street in Sydney, N.S. . The studio offered photo finishing, portraits and commercial photography. By the mid-1960s Abbass Studio served all of the Maritime Provinces. The company built a photo finishing plant in Moncton, New Brunswick and purchased stores in New Castle, New Brunswick. 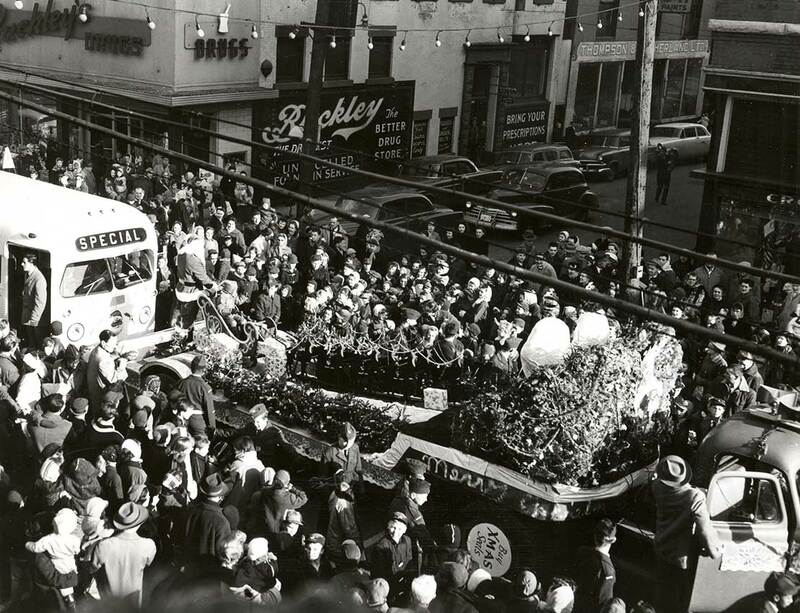 The brothers eventually brought the Econo-Color Camera Stores and Studios franchise from Sherman Hines. Abbass Studios captured and continues to document the diverse economic, political and cultural heritage of the area. The business is still in family hands and run by John’s sons Blaise and John. The Townsend Street building was demolished in 2014 and Blaise Abbass now operates Abbass Studios, Sydney from his home. John Abbass runs the store at Scotia Square Mall in Halifax. Abbass Studios Ltd made their first donation to the Beaton Institute in 2007. This donation consisted of negatives, prints and copies of business indices. An accrual of school photography came in 2014 with a final accrual of portraiture donated in early 2015. Fonds represents over seven decades of photography by the owners and staff of Abbass Studios Ltd.. The studio operated a portrait studio, as well as accepted contracts from newspapers and covered local events. The photographs in the fonds reflect the diverse economic, political and cultural heritage of Cape Breton. The negatives are organized into seven series: A,B,C,D,N, DOSCO, and Portraiture (P). The N series includes the earliest images including the nitrate film negatives. The A,B,C, and D series continue chronologically until 2001 with the Portraiture ending in 2004. The DOSCO series includes photographs taken of the Dominion Steel and Coal Company during the 1950s. With the exception of some nitrate film, the majority of the records are stable. A procedure for preservation of the nitrate film content has been implemented. Some of the portraiture require re-housing. All Abbass Studios Ltd. images are to be used for personal and/or educational use only. Only examples from the N series are currently available through the Digital Archive.